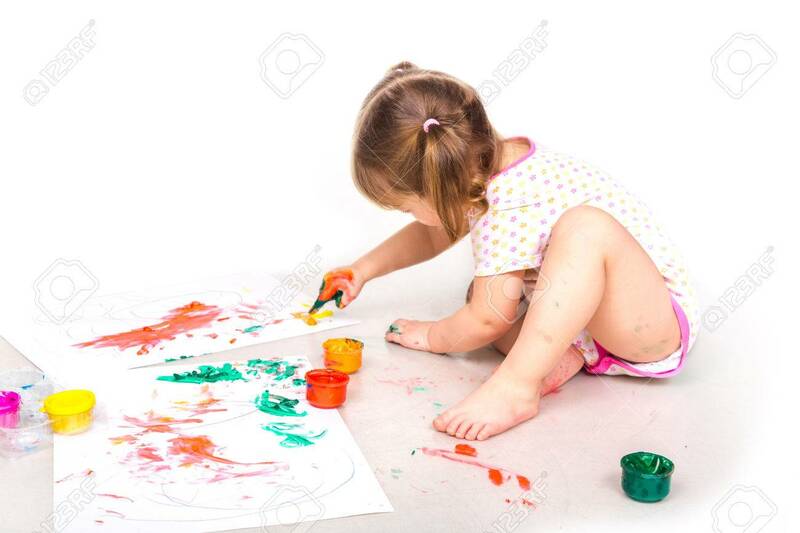 Happy Baby Girl With Her Hands In Paint Drawing Isolated On White. Art Concept, Early Education Royalty Free Fotografie A Reklamní Fotografie. Image 52343911.